A DICE spokesperson reportedly told CERFY that, seeing as console versions only permit 24 players in a match compared to 64 on PC, it had made the decision to scale the maps down for the PlayStation 3 and Xbox 360 releases. However, that only applies to ground battles. Aerial skirmishes will apparently play out across the same area as they do on the PC game. 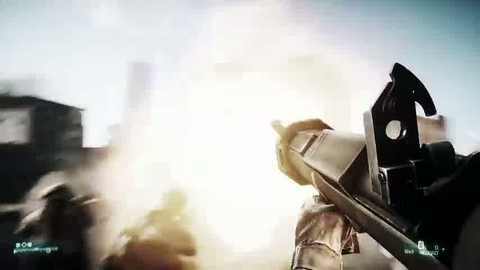 Late last year, designer Alan Kerz explained, "Battlefield 3 needs an extra bit of special attention on the PC. I intend to give it that attention, tradition and our community demand it." For more on Battlefield 3, take a look at our recent hands-on preview of the keenly anticipated EA-published shooter.